How well do you know your audience? You undoubtedly have several segments, from admirers to supporters to actual buyers. Do you know what separates individuals into these groups? Without actually talking to them, you may never know, but the good news is that you can get a better idea of who you're talking to online with certain insights you have access to. 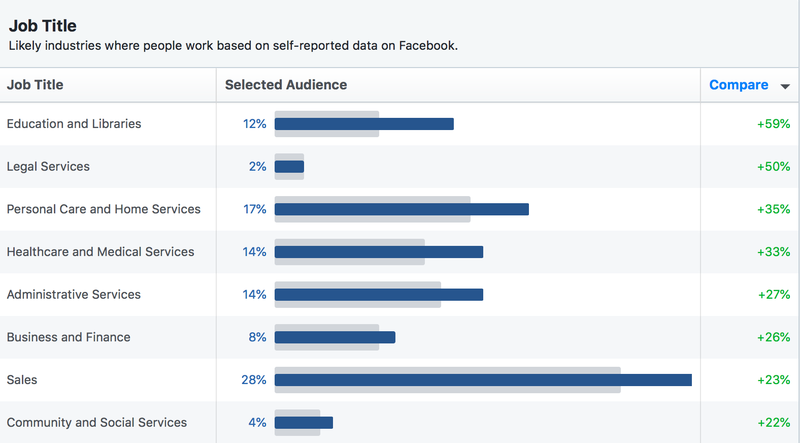 In this case, I'm referring specifically to Facebook's Audience Insights. Coupled with website analytics and other tools, you can start to paint a much clearer picture of your target audience – what interests them, their needs and why they are connecting with you. Sounds great, right? Let's take a look. One of the really unique and most beneficial things about Facebook is the targeting. This comes into play most when you're advertising so you can ensure your messages are reaching relevant people, but Audience Insights is not limited to paying customers. That's right, it's Free! Anyone with a Facebook account can access this tool and get to know how different groups of people represent themselves online. Facebook uses the data people share about their demographics, interests, locations and more to guide businesses in better understanding who they may want to talk to. While this may seem invasive to collect this data, don't worry. It's anonymized and aggregated to protect each individual. Plus, it's designed to ensure that advertisers only go after people likely to be interested in what they have to offer, and the advertising keeps the platform free. So what can this tool tell you about your audience and how can you use it as an artist? 2. Get to Know Your Page Audience. Choose your Page from the dropdown to find out the composition of that group. Please note, you will only be able to see Pages you manage. To learn about people connected to other Pages, the closest you can get is by Interests. This is a privacy protection for you as a business. If you don't see data come up, your Page audience may be too small to aggregate. If that is the case, move on to step 3. 3. Select Characteristics for a Group of Interest. Pick from the dropdowns for Age, Gender, Interests and more. Under Advanced, you'll find a wide range of categories. This can come in handy if you want to learn more about who you think you're reaching or a group you'd like to tap into more. This is the best option if your Page audience is smaller than 1,000 or so because the tool only reports are groups large enough to keep anonymous. 4. Review the Percentage Breakdowns and Comparisons. The aggregated data is reported in percentages so you can get a feel for how much of the group is female or of a certain age range, etc. Facebook also gives you a comparison to the rest of the audience on the platform. For example, your followers may be primarily female, while the platform overall has closer to a 50/50 split. This shows what's more common for your audience and therefore potentially more important to focus on. For the Interests, i.e. Page Likes, Facebook also reports on Relevance and Affinity which show you how likely it is that the chosen audience will also be Fans of those pages. This helps to identify what they are also into so you can tailor your marketing. 5. Save Your Audience to Check In Again. You can save a copy of the group you create so you can watch how that audience changes over time. This is great if you have segments you care about. You can also access audiences you've created for your advertising to look at their composition. Audience Insights is designed to help inform your decisions when it come to targeting, messaging and more. The data is only directional in that you should take it with a grain of salt since it's aggregated, but it can be very interesting to know. Check out what you can find about your audience.